Makes No Sense: Why Do Parents Driving Drunk With Children Along? Unless you’ve been living off the grid, you should know by now that driving after drinking alcohol is dangerous, illegal, and could possibly kill you or someone else. Why, then, are parents still driving drunk with children along? 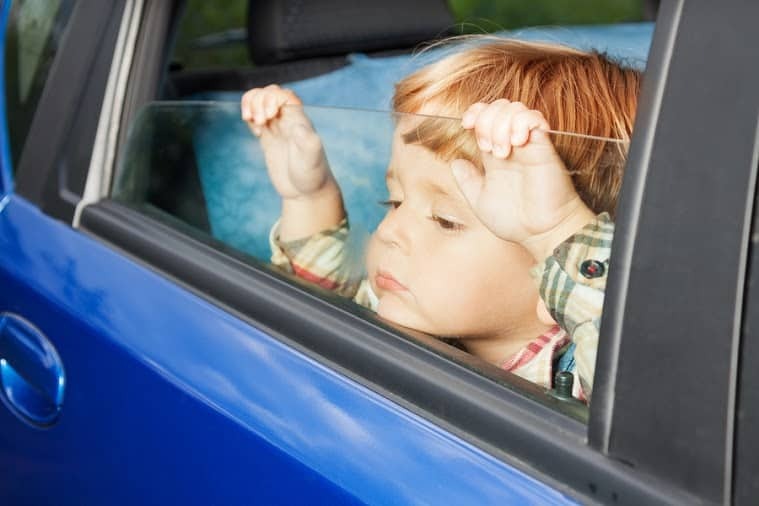 There have been more than a few cases recently that involve parents driving drunk with children in the vehicle, and they will make you wonder what that parent was thinking. It’s hard to believe anyone would do anything to endanger an infant, but when you take a baby along with you in your car while you’re drunk, you are putting that baby’s life in jeopardy. That’s exactly what a mom in El Paso, Texas did recently. She took her four-month-old infant with her, and while driving at one am, was unable to remain in her lane. Thankfully police pulled her over before anyone was hurt, and now she’s facing a DWI with a child passenger charge. In Texas that charge may be a state felony, and the penalties for it include a $10,000 fine, two years in prison, and the loss of a driver’s license for six months. A Naperville, Illinois woman was arrested on a DUI charge after she was stopped for driving erratically. That’s bad enough, but she also had a five year old in the back seat of the vehicle and the child wasn’t in a car seat. She was called in by a concerned driver, and when police arrived they found she was driving under the influence and had a suspended license. She’s also been charged with endangering the life of a child and received a car seat violation. 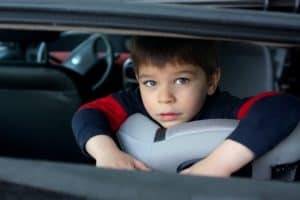 In Illinois, endangering the life of a child because of a DUI charge will mean that the defendant receives stiff penalties. She may serve six months in prison, and if that child would have been harmed in any way because she was driving drunk, she could spend one to three years in prison and pay a maximum of $25,000 in fines. When will parents learn that drunk driving with children along is a bad idea for everyone? The parents end up in hot water, and the children have the potential to be injured or killed. It really is a no win situation for everyone involved. How old do you think your kids should be before you talk to them about underage drinking? You might feel like if you talk to them when they’re too young, you’re opening Pandora’s box and your son or daughter could start to think about drinking with their friends. But if you wait until they’re a lot older? You might be too late, and the window you had to share your disapproval will have passed. That’s why officials from the Department of Public Health and Human Services (DPHHS) Prevention Resource Center in Montana are encouraging parents to talk to their children early about the dangers of underage drinking and substance abuse. They want parents to know they should get involved and stay that way, because studies have shown that parental disapproval is the number one reason why kids will say no to drinking. How old should your child be when you talk to them about underage drinking? Studies show that parents should start in Grade 8 or when your child is 13. 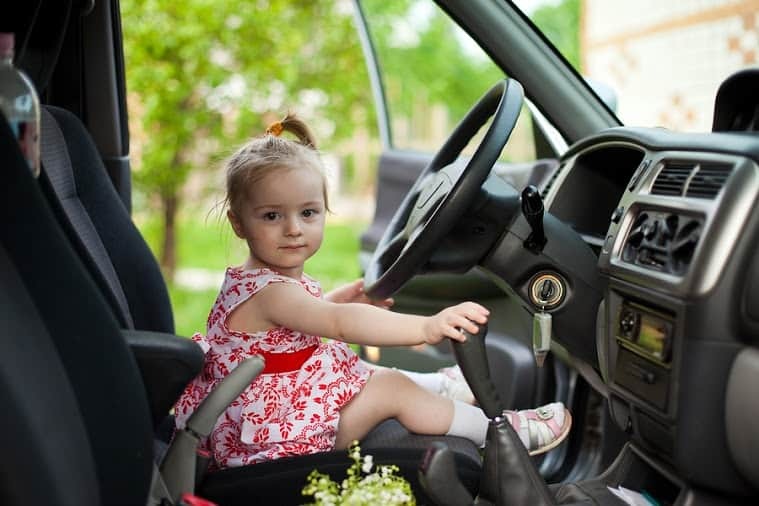 Having those two years of conversation before your child starts to drive will help ingrain the dangers of underage drinking, drinking and driving, and substance abuse. It might feel like a hard conversation to have, but there are a few ways you can kick the conversation off. Did you hear about the drunk driving arrest/crash that happened…. It’s horrible but true: just look through the news online and you’ll have no trouble finding drunk driving arrests or crashes. Sharing one with your teen could make an impact. Sometimes the best conversations can start when your teen is relaxing with friends at your house. Asking them a few questions about the latest party and whether anyone was drinking could help you make a point about how dangerous it is. It’s also a great way to let your teen see that maybe his or her friends aren’t into underage drinking either. Not only is underage drinking dangerous for teens, it can lead to alcohol abuse as they grow older. Give them the best start and the tools they need to make healthy decisions about alcohol by talking to them when they are young. They might not like to hear it now, but they’ll thank you when they’re older. What’s The Worst That Can Happen If I’m Drunk Driving? People often will get behind the wheel after having a drink or two and wonder, “What’s the worse that can happen if I drive home?” For these people, there’s no real answer to the question, because in their minds drunk driving charges and drunk driving crashes can’t happen to them. Unfortunately, these crashes do happen every single day, and if you’re wondering what’s the worst that could happen, this incident is a good example of it. 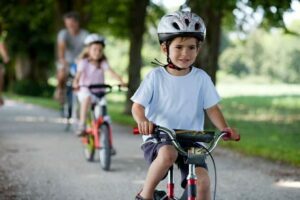 An 8-year-old boy was riding his bicycle in front of his home one Monday afternoon when a 66-year-old woman drove by and struck him down right in front of his 6 and 11-year-old siblings. When she pulled over she readily admitted she had been drinking all day, from a few drinks while she was working to drinking in the vehicle while she drove, and she failed all field sobriety tests at the scene. Now a young boy is in serious condition in the hospital, and the woman is facing felony drunk driving charges including aggravated DUI, failure to reduce speed to avoid an accident, and transportation of open alcohol. 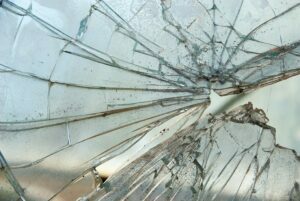 The incident happened in Chicago, and according to Illinois driving under the influence (DUI) laws, if you cause great bodily harm to someone, even if it is a first offense, you will be charged with a class 4 felony. A felony DUI charge will involve longer jail time, stiffer fines, and an increased length of drivers license suspension. The driver will also be required to install an ignition interlock in his or her vehicle upon reinstatement of a drivers license, and the ignition interlock program may be longer than that of a first offender who did not cause great bodily harm. If you’re ever tempted to drink and drive and you ask yourself what could possibly happen between point A and point B, this is it. One young life is on the line and another will spend time in jail, all because of drunk driving. Some things you see online really make you scratch your head and wonder what someone was thinking. Take parents who drink and drive with their kids in the car as an example—there are countless news topics posted every month about parents arrested for driving under the influence (DUI) with their children along for the ride, and that’s why there are laws upgrading a DUI to aggravated DUI or new laws with additional penalties for drunk parents. But one man in New York who was drunk with his 10 year old along decided not to drink and drive. That might sound like a good thing, but the problem started when he handed the keys over to his child and got into the back seat of the truck. The child was driving the truck up Route 9P in New York State when he was spotted by another driver who contacted the police, and he was pulled over shortly after. 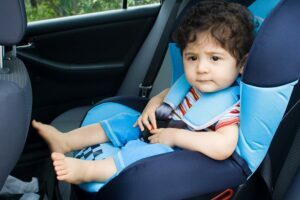 Since New York put a child endangerment law on the books a few years ago, anyone charged with DUI with a child in the vehicle will be subject to penalties under Leandra’s Law. Named after a young girl who was killed in a drunk driving crash caused by the adult driving her vehicle, Leandra’s Law makes it an automatic felony for any offender who chooses to drink and drive with a child younger than the age of 15 in the vehicle. Anyone charged under Leandra’s Law face a prison sentence of up to 4 years, fines up to $5,000, and a mandatory ignition interlock for at least six months. Will this offender be charged under Leandra’s Law? It’s up to the judge at this point. 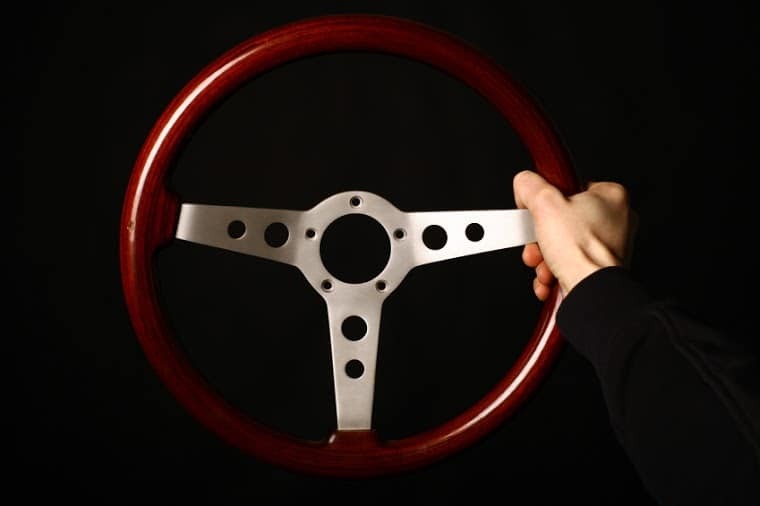 Although he wasn’t actually driving the vehicle, he was charged with endangering the welfare of a child and permitting unlicensed operation of a motor vehicle. Why not put the safety of children first by making the commitment to never drink and drive, especially if you have your kids in the car? When someone drinks and drives and they are by themselves in the vehicle, the risk isn’t just to them alone. A vehicle with a drunk driver behind the wheel has the potential to injure or kill anyone he or she comes into contact with, and if they do have someone in their car, the people they have along for the ride can be injured or killed too. Unfortunately that happens all the time with children, and one Florida mom is a perfect example of that. Florida police released a video of a four-year-old child blowing into an ignition interlock device as his mother looked on. The mom in question had left her two small children in the vehicle while she went into a local bar, and when she came out her child blew into the device to start her vehicle. Once the vehicle was started, she got behind the wheel and drove through the parking lot before being stopped by the police. She was slurring her speech and unsteady on her feet, and when she turned her vehicle off, police taped her child confidently blowing into her ignition interlock device to get it started again. This wasn’t the mom’s first driving under the influence (DUI) charge, and her husband said that although she had been to rehab, she should spend time in jail because rehab didn’t work. That may happen, because in Florida having children in the car while drunk is considered to be an Aggravated DUI. A first time DUI in Florida will net an offender a maximum of six months in jail, and it could be 9 months for an aggravated DUI. Drinking and driving is dangerous enough on your own, but taking along a child and having them blow into your ignition interlock device so you can drive while drunk is criminal. Let’s hope the mom in this case serves as an example to other parents who are tempted to drink and drive. Most people realize that when you choose to drink and drive you run the risk of injuring or killing yourself or someone else. But that’s just most people. There are a lot of people out there who don’t even consider the risks of drinking and driving, and not only will they go for a drive after having a drink or two, they’ll take their kids along with them. Almost every day you can read somewhere about how a parent drinking and driving with their kids in the car, but if that parent decides to do that in New York State, they’ll have to deal with a law specifically designed to penalize them for doing so. In addition to charges for driving while intoxicated (DUI) law in New York State, people who drink and drive with a minor under the age of 16 in their vehicle are subject to Leandra’s Law. Leandra’s Law came into effect on December 18th, 2009. It was named in memory of 11-year-old Leandra Rosado, a young girl killed in an SUV she and several other children were riding in crashed due to the driver being drunk. When Lendara’s Law was passed, New York became one of 36 states with special child endangerment laws that penalize people who take children with them when they drink and drive. Because of Leandra’s law, anyone who drinks and drives in New York must install an ignition interlock device in any vehicle they drive for at least 6 months. If the offender gets behind the wheel without their ignition interlock device, he or she faces a Class A misdemeanor and they could go to jail for up to one year. Helping someone drive without their ignition interlock is punishable too: if you’re caught helping someone cheat their interlock device, you could be charged with a Class A misdemeanor too. Think twice before you drink and drive, especially if you’re responsible for children and they’re with you. It’s far easier to call a cab for everyone to get home safely than it is to run the risk of taking an innocent life. 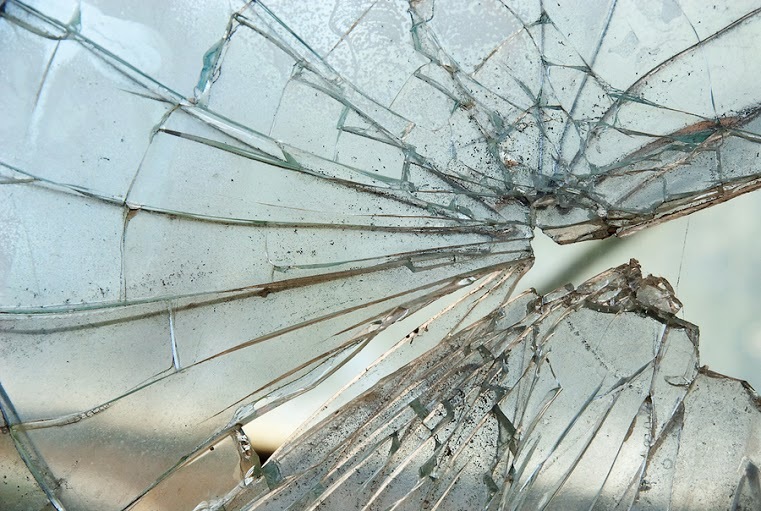 There’s a feeling you get when you read about a drinking and driving crash that’s indescribable. You might not know the person in the crash or they may not even live in the same state as you, but when you read that someone has made the choice to drink and they’ve killed an innocent person, it can affect you no matter who you are or where you live. It’s even harder to read about drunk driving crashes that involve innocent children like the one that happened in Florida recently. Stanley Jefson was driving a Pontiac G8 and traveling approximately 100 mph on a boulevard in Jacksonville. He hit the back of a pickup track with four people inside, and that truck rear-ended two other cars. In all, four vehicles were involved and 12 people were sent to the hospital including a 12-year-old girl. The girl died soon after. Witnesses in Jefson’s vehicle said he had the accelerator pushed to the floor right before crashing into the pickup truck, and his blood alcohol concentration (BAC) was 0.279. That’s three times the legal limit of .08. He also had a Xanax in his system. Jefson pleaded guilty to one count of manslaughter while driving under the influence (DUI), two counts of driving under the influence causing serious bodily harm, and 10 counts of DUI with damage. The Florida judge presiding over his case didn’t mess around as far as his penalties go—he was sentenced to 23 years and six months in prison. A little girl is dead, multiple people are injured, and one man will spend what could amount to the rest of his life in prison. That’s just the outcome of a single drinking and driving crash in Florida, and these types of crashes happen every day in every state. Think about what can happen before you drink and drive, and hand the keys over to someone else.